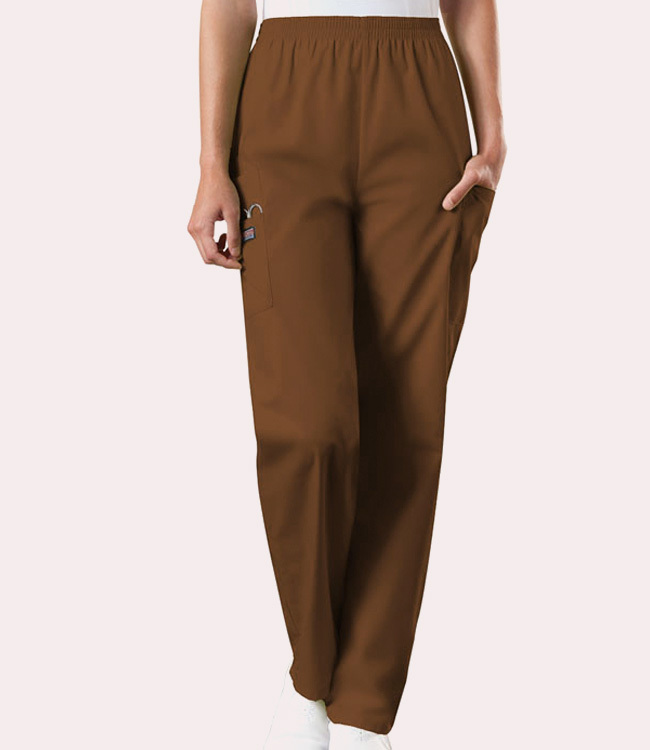 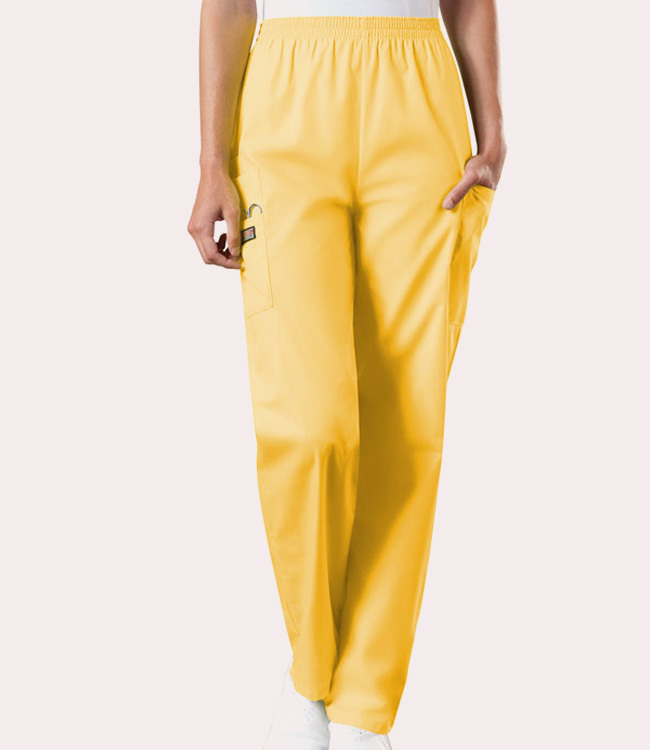 Solid, strong, and dependable, Cherokee Workwear's Elastic Waist Cargo Pant has everything you need to make it through your day. Each leg comes equipped with a cargo pocket and outside scissors pocket. The left leg has a cell phone pocket as well. Easy care poly/cotton blend with soil release finish.